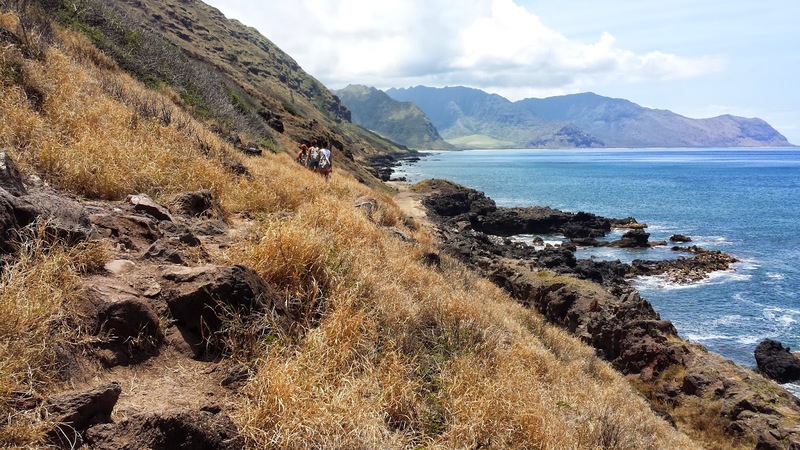 Kaena Point is a wide open hike that is 2.4 miles from the trail head to the tide pools and the wildlife preserve at the end. So, that’s almost 5 miles round trip. Actually, there are two different hikes that end at the same point. The one I did was on the west side of the Island and starts at the end of the road (literally). 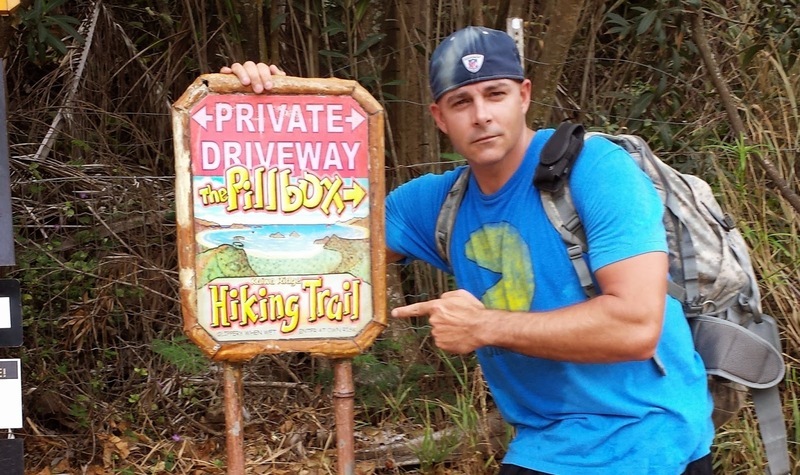 Now, some of you may not think of Kaena Point as a hike but I consider any walk that isn’t to my mailbox or on a track as a hike. Right from the beginning you can tell this hike is going to take a while. Not because of the length but because of the beautiful views along the way. You start out staring at beautiful, blue ocean and rock landscape on your let and mountain ridgeline on the right. It's a wide-open, hot, dry hike but it sure is BEAUTIFUL! · It’s an open hike. You need sunscreen, covering for your skin and lots of water. I like to bring my Camelbak everywhere I hike. Don’t underestimate it. This hike wouldn’t be the same on an overcast day. You need the sun for the beauty of this hike. · There wildlife and bird reserve at the end of the trail (where you’ll see albatross and monk seals will is in a gated area. 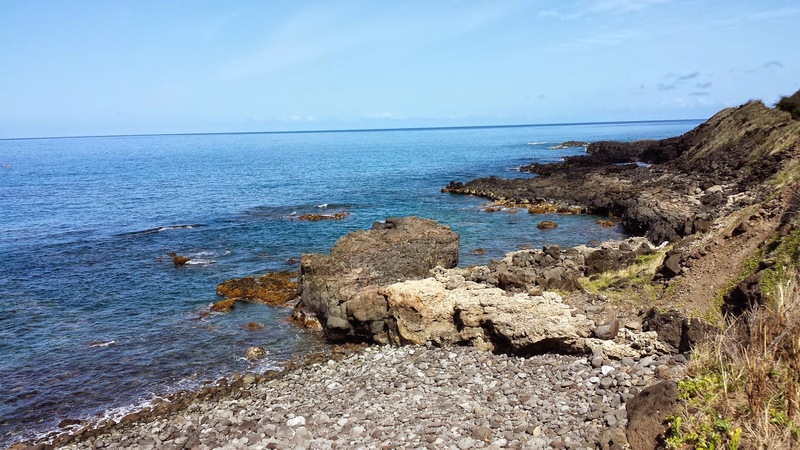 · There are monk seals and beautiful tide pools off the path that you have to climb down to get to. Be very careful. We did it but it isn’t right for kids or older people and if you’re not confident climbing and scrabbling. Don’t mess with the monk seals or the albatross. They’re endangered and you could go to jail. Plus, it’s just not cool. 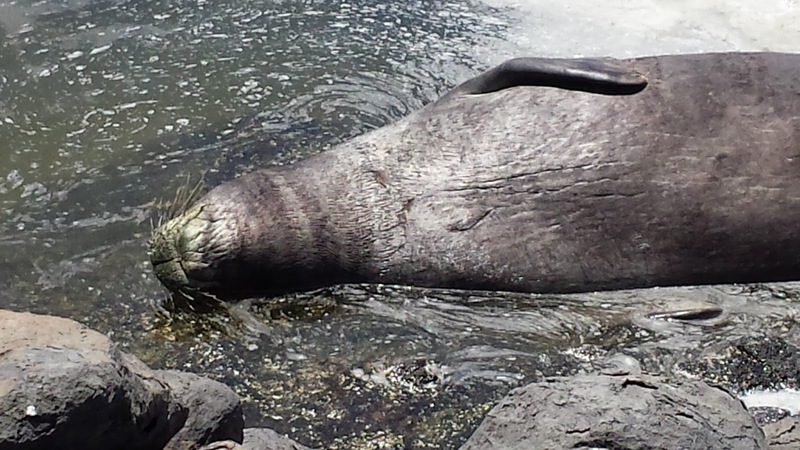 Monk Seal lounging and drinking up some sun. Hanauma Bay is the premiere Oahu snorkeling spot. There may be other snorkeling spots in Oahu with less crowds and more open water, but when it comes to snorkeling on Oahu then most tourists and even some dedicated Islander residents choose Hanauma Bay as their "go to" snorkeling spot on the Island. The Hanauma Bay Nature Preserve is regulated and there is a charge to get in. For non-military and non-Hawaii residents the charge is $7.50. You can rent snorkel gear at the beach on Hanauma Bay for $5 per individual piece or $12 per set. Before entering the beach, you will need to watch a short, 9 minute video on the history of the bay, preservation and safety tips. There is a tram that will take you down or up the steep hill to the beach for $1 one way or $2 for an all-day bracelet. There is food on site but it is up the hill so it might be a good idea to get tram pass if you’re going to eat or have to go and down the hill for any reason. Gift shop, bathrooms, changing rooms, showers, informational booth and, of course, the snorkel rental booth. Many snorkel tour companies and Waikiki Beaches offer transportation to Hanauma Bay. Take H1 east from Waikiki till it ends & becomes Kalanianaole Highway for approximately 10 miles. Entrance to the preserve is on the right at the top of the hill just past the city of Hawaii Kai. From the west, take the Kalanianaole Highway. Pass Waianae Beach Park, Ka’iwi Beach Park (Makapu’u Lighthouse trail) and Sandy Beach. The entrance to Hanauma Bay will be on your left. Note: The Hanauma Bay parking lot fills up early and costs $1 to park for the full day. Hanauma Bay Hour of Operation: 6am to 7pm and closed on Tuesdays. All of the tourists will snorkel very close to the beach in shallow water. The key is to get out just past the shallow reef. The water will be clear. There will be caves and the water will be open while still have lots of reef for fish and turtles to gather. You’ll love it. Snorkeling in Hawaii is one of the greatest and most majestic experiences that you can take part in when you visit or move to Hawaii. It's not just the chance of your lifetime but imagine what it could mean for kids! A good snorkeling experience can form a true appreciation for the beauty of nature on young minds. 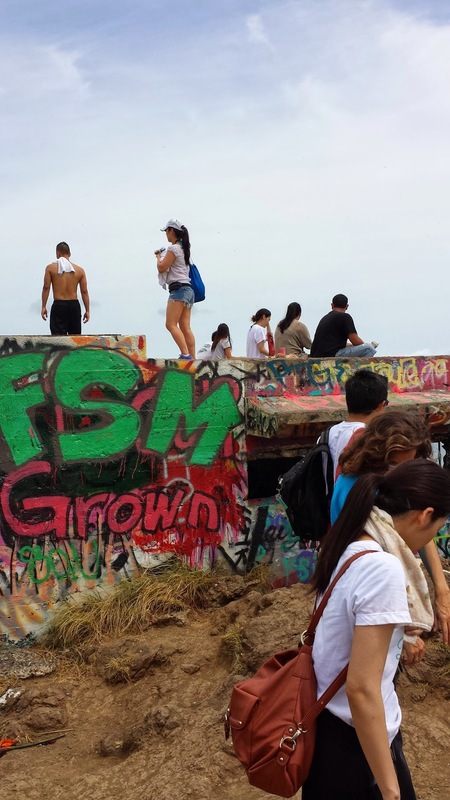 There are good and bad places for kids to go snorkeling in Oahu. Some spots will have the possibility of being a little tough rough in the wave department. High surf is never good for snorkeling but what the definition of what is acceptable surf for some snorkelers that tell you about great snorkeling spots may not be good for the kids to be splashing around in and learning to snorkel. Kulima Cove has crystal clear water. The water is so clear, in fact, that you may have a hard time trying to find a place on Oahu with the same water quality. It's almost like you're snorkeling in a huge aquarium. That's how clear the water is! The entire cove is shielded by a coral barrier that keeps the water still and perfect for snorkeling and underwater picture taking. And...the fish are plentiful. In my opinion, there are as many fish in Kuilima Cove as their are in Hanauma Bay. The fish are just as tame and friendly and I'll even go so far as to say that the conditions are better for snorkeling, both in the water and out. Kuilima Cove is not near as popular as Hanauman Bay so there is always plenty of room on the beach. 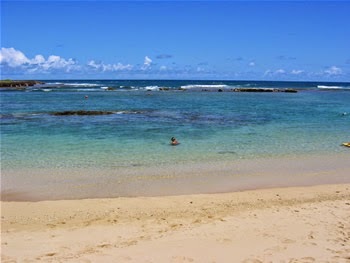 Also, the beach front on Kuilima Cove is on the grounds of the Turtle Bay Hilton Resort, so it's maintained and clean. Another good thing is that there is usually plenty of parking at Kuilima Cove on the Turtle Bay Hilton grounds. Stay to the beach on the right side Hilton and you'll be in Kuilima Cove. If you're left of the resort then you're actually in Turtle Bay and it's not real great for snorkeling.